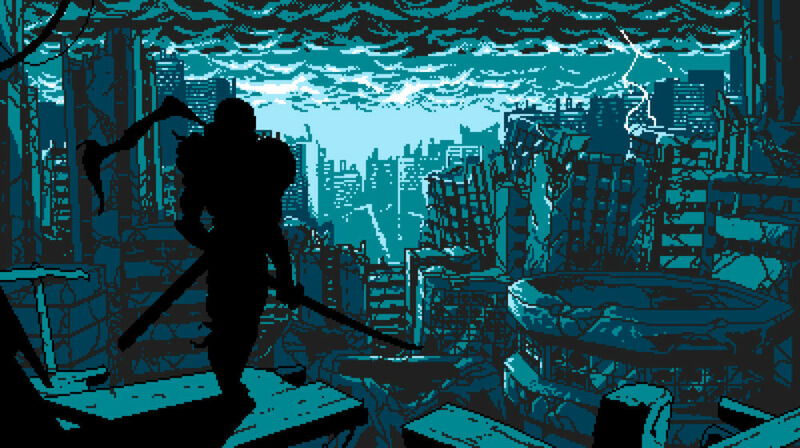 The sky is the limit for Yacht Club Games. In just a few months they're set to wrap up all of the content they promised in their Shovel Knight Kickstarter campaign, which began crowdfunding operations all the way back in 2013. While we don't quite know what's in store next (either Shovel Knight 2 or an original IP), we do know that by way of a direct email they're publishing a new game that's being teased for a PAX East reveal: this untitled dystopian ninja project. Naturally the Ninja Gaiden comparisons are warranted (the original series had a similar theme), and we can probably assume based on the art style (and Yacht Club's prior experience both developing and publishing) that it's an action platformer. Now this isn't a monumental step for the company, as they already published the Azure Striker Gunvolt: Striker Pack already. But it is one step closer to the dream of becoming a publishing house, capable of distributing carefully curated indie gems to get their name out there.